Tad the Explorer 3D Blu-ray Review Flight is definitely one of the must see movies of 2013! 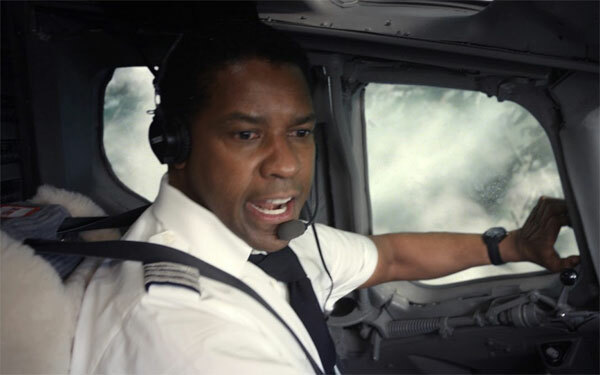 Written by John Gatins (Real Steel) and directed by Robert Zemeckis (A Christmas Carol), Flight revolves around Pilot Whip Whitaker (Denzel Washington), a man in denial and one who lives precariously on alcohol and drugs. His life is about to change when he awakes one morning with his stewardess girlfriend Katerina (Nadine Velazquez) after a night of partying. Still feeling the repercussions from the previous night, he has a hit of cocaine in order to sober himself up before his next flight. However during the flight, his plane is bombarded with bad weather and the unthinkable happens. The controls of the plane become unresponsive and neither him or his co-pilot (Brian Geraghty) can break the deadly nose dive of this plane. Even though Whitaker is fuelled on alcohol on drugs, he manages the unthinkable and somehow averts this disaster and successfully lands the plane, rescuing the majority of souls on this plane, 96 to be precise. Regrettably, six passengers died. The story of Flight is about Whitaker's journey, a washed up pilot who is divorced and is now facing a criminal investigation of negligence if the authorities can prove that he had alcohol and drugs in his system. Fortunately for Whitaker, he has close friend and union leader in his corner (Bruce Greenwood) who hires an ace lawyer (Don Cheadle) to make his toxicology tests disappear. Also joining Whitaker on his journey is Nicole (Kelly Reilly), a heroine junkie who at the same time of Whitaker's plane crash had her own near death experience. Both Nicole and Whitaker form a relationship in hospital, however as Nicole wishes to change her life, she is unable to help her new partner break his own addictions. From here, it's a rollercoaster ride for Whitaker as all the mistakes in his life lead to breaking point. Flight is a very engaging movie that is directed well by Zemeckis who manages to create this interesting story with realistic characters. 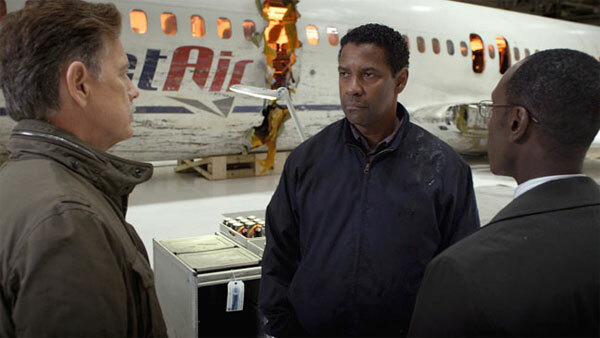 Denzel Washington is brilliant as the broken pilot as is Bruce Greenwood, a close friend who refuses to give up on him. Even though the content of Flight is quite dark at times, there is a glimmer of light with John Goodman as Whitaker's dealer Harling Mays who injects an element of comedy into this series film. Even though this character does seem out of place, it actually injects a much needed boost in this gritty drama. The video quality on Blu-ray is impressive with sharp images and vibrant colours when used. Audio is a little bit of a mixed bag and certain scenes such as the hospital stair scene is a little hard to hear and the music is at times a little too loud. Nonetheless, the special features of Flight are quite interesting and goes into the inspirations, special effects and interviews with key people involved in making this film. All in all, it's a great release from Paramount! 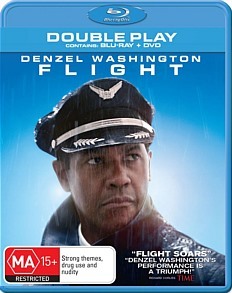 Flight is definitely one of the must see movies of 2013!